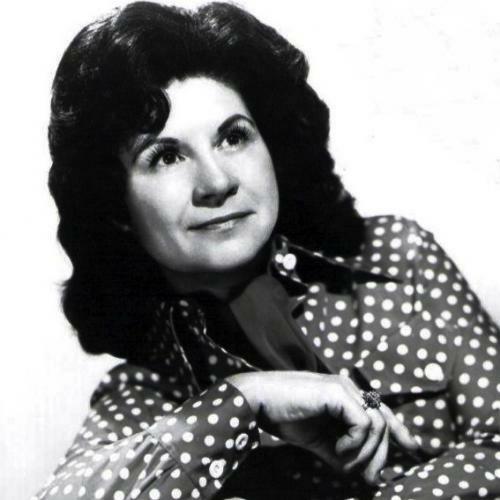 The monster was the man behind the curtain in the case of Kitty Wells, the country singer who died on July 16 at age 92. As the fittingly reverential tributes to Wells have reminded us this week, she has a place of immutable high standing in pop-culture history for recasting the role of women in country music. It was 1952, and the number-one hit on the “hillbilly” charts was a tuneful defense of male infidelity called “The Wild Side of Life.” Co-credited to the early country songwriter William Warren and the record’s singer, Hank Thompson, the song shifts the blame for bad-boy behavior to predatory temptresses. (It was Genesis set to the tune of an old Carter Family song called “I’m Thinking Tonight of My Blue Eyes.”) At the urging of a producer for Decca, Wells recorded a response to the Thompson record, an “answer song” that stood up for “honky tonk angels” and shifted the blame for their promiscuity to Machiavellian bar dogs. Both of the songs were a bit titillating but conventionally moralistic; the big difference between them was the gender they accused of starting all the two-timing. It is worth paying attention to the man behind the curtain, in this case, because all those songs are still in circulation in the insufficiently underground world of white-supremacists, where recordings by “Nazi punk” and “hatecore” bands serve racial and ethnic slanders set to country, punk, and heavy-metal music. We should remember what J.D. Miller later did, even as we honor the good day when his weakness for shifting the blame found worthy form in a song for Kitty Wells.